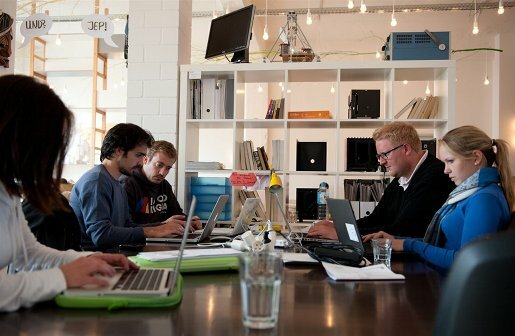 Coworking space Betahaus Berlin is one of eight startup spaces joining a new global network named the Startup Federation. The federation includes entrepreneurial centres in the US, England, Germany and Russia and allows members from one centre to use all others in the network while travelling. For example, startups that pay for a coworking space at Betahaus Berlin can temporarily work at sister space 1776 in Washington DC. Alongside Betahaus Berlin and 1776, the Federation includes General Assembly in New York, Capital Factory in Austin, Cambridge Innovation Center in Boston, 1871 in Chicago, Warner Yard in London and Digital October in Moscow. The new federation reflects a growing need to provide startups with a global network of contacts and resources. To increase their network, a number of accelerators and incubators already run in multiple international locations including Techstars, Startupbootcamp and Seedcamp. Joining the Startup Federation is good news for Betahaus after a series of setbacks – earlier this year, the company was in the process of shuting down its Cologne and Hamburg branches due to financial problems. The Berlin original is apparently still going strong.